Ubiquitous images of many animals are leading us to believe that some of the world's most endangered species are thriving in the wild. Most people see about 4–5 lions each day — as toys, on television, in logos. The same is true for giraffes, elephants, and many other animals. Paradoxically, these same seemingly omnipresent animals are also at high risk of extinction in the wild. The animals' popularity may even be contributing to their downfall, suggests new research that finds media representations of charismatic species deceive us about their survival in the wild to the point that we are ignoring their actual, dire predicament. The study is published in the journal PLOS Biology. "Charismatic is a term that is increasingly used in conservation biology, mostly because flagship species — those used to attract interest of the public for funding or information campaigns — have to have some appeal," Franck Courchamp, lead author of the study, told Seeker. "In particular, it is regularly claimed that charismatic species get all the attention, support, and resources in conservation, to the detriment of the less visible parts of biodiversity," added Courchamp, a researcher director at the University of Paris, Saclay. To check those claims, he and his colleagues used a combination of online surveys, school questionnaires, zoo websites, and animated movies to identify the 10 most charismatic animals. They found that they are, in order: tigers, lions, elephants, giraffes, leopards, pandas, cheetahs, polar bears, grey wolves, and gorillas. Elephants actually represent three species, while gorillas represent two, but they respectively were given one placement on the list since the public tends to view them collectively. 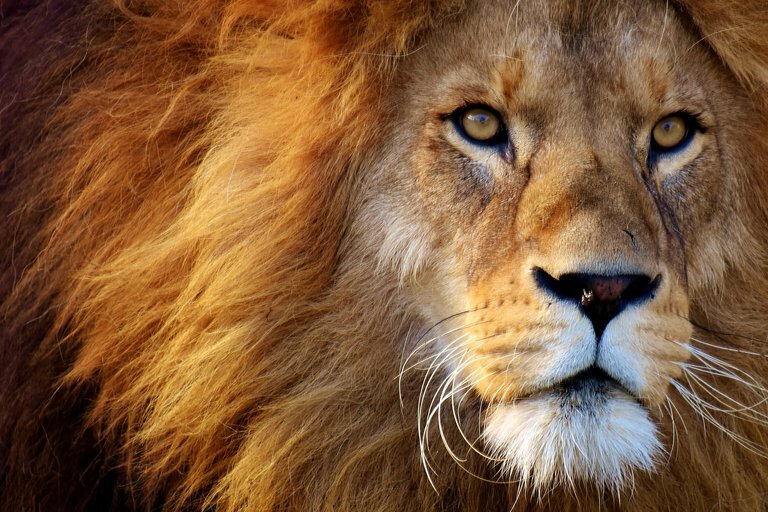 “The top 10 charismatic animals are all mammals and include some of the largest carnivores and largest herbivores in the terrestrial world," co-author William Ripple, a distinguished professor of ecology at Oregon State University, told Seeker. “The fact that humans are also large mammals might explain why the public has a strong affinity for these 10 mammals." He added, “It also seems like people love large animals much more than small ones." Ripple, however, noted that "although these 10 animals are the most charismatic, a major threat faced by nearly all of them is direct killing by humans, especially from hunting and snaring. This seems sadly ironic to me, as these are some of our most beloved wild animals." He and his team did not limit their research to terrestrial mammals, or even to animals. While no plant species made it into the top 20, the bottlenose dolphin, blue whale, and great white shark did. Large marine mammals were therefore on the minds of the respondents. It could be that our attraction to certain animals makes them all the more desirable as hunting targets. Donald Trump, Jr., for example, proudly shared a photo showing himself holding an elephant tail in one hand and a knife in the other. Countering the claims that elephants and other charismatic species are receiving more conservation support, the researchers found that each of these animals is at risk for extinction. For example, they report that tigers have a "total abundance estimated at less than 7 percent of their historic numbers." Lions are "declining almost everywhere in Africa, with populations estimated to be at less than 8 percent of historic levels." All of the other listed animals are in jeopardy as well. 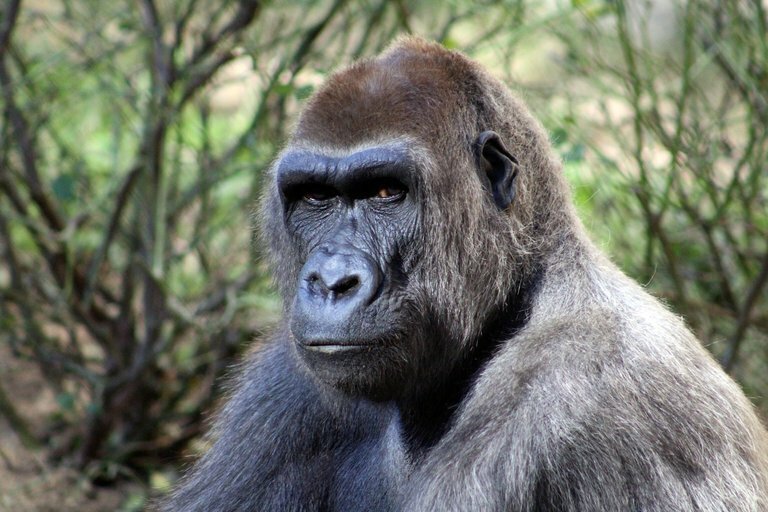 Two gorilla subspecies, for example, "are limited to a few hundred individuals in small and highly fragmented populations," the authors report. Wolves are perhaps the outliers on the list. 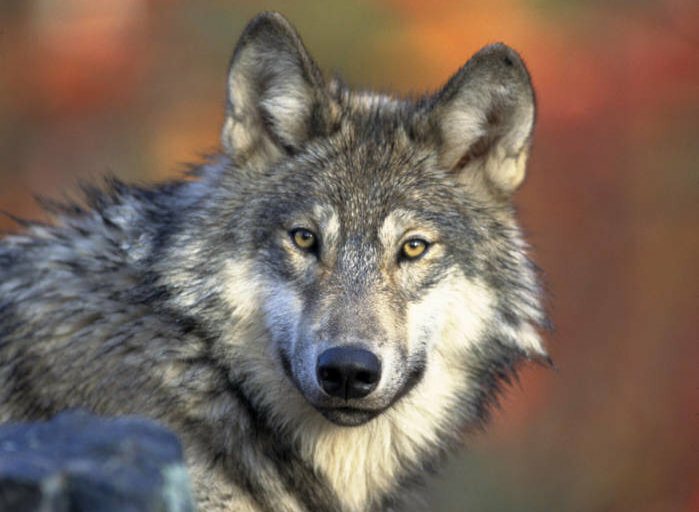 Although their population is stable in some areas, these carnivores have lost about one third of their original range and have become regionally extinct in parts of Western Europe, the US, and other locations. Courchamp was surprised that the grey wolf made the top 10. "Although it is also a large-ish carnivore, it is one that is not exotic to the public studied and one that has historically been persecuted and is still the topic of much controversy both in the US and in Europe," he said. Courchamp was also surprised that while the top 10 consists of large, terrestrial mammals, the public tends to view each very differently. For example, pandas and giraffes tend to be regarded as being "cute," elephants and gorillas are "magnificent and impressive," and many of the others are seen as being "just dangerous," he said. For the study, the researchers also asked 42 volunteers from France — from both urban and rural areas — to document every encounter that they had with one of the 10 charismatic species in "virtual" populations: in television commercials and as toys, for example. It was remarkable how often they saw all of the animals. The research participants reported seeing 1,600 lions per year, with an average of about 4.4 per day. That means they see two to three times as many virtual lions in a single year than the total population of actual wild lions currently living in the whole of West Africa. The researchers suspect that the same holds true for residents of the US and UK. "The British lion emblem is just about everywhere," Courchamp said. "No wonder so few people know lions are on the trajectory of being extinct in the wild within 20 years." "Do this experiment yourself," he advised. "Count the number of lions, tigers, elephants, panthers, or giraffes you'll see this weekend. You'll see it's way more than what can give you an impression of rarity and fragility." Zoos may also inadvertently lead to biased perception of animal abundance in the wild. The experience of regularly viewing presumably healthy animals in zoos could affect the mind-set of viewers in a way that is comparable to their seeing such animals in the virtual realm. Whatever subliminal effect might occur, Courchamp said that zoos — and especially those in the US — often emphasize education concerning conservation issues, helping to better inform the public about wild animal population realities. In terms of the digital and other representations of charismatic species, the authors propose a unique solution to the deception that the companies behind these efforts are perhaps unwittingly spreading. As the researchers point out, companies are not currently required to pay a fee to use these animals for their branding. A voluntary program called "Save Your Logo" has been attempted. It asks companies that include animals in specific media campaigns to contribute and support certain biodiversity initiatives. Lacoste with its iconic crocodile, for example, has agreed to partner with the Fonds de Dotation pour la Biodiversité (Endowment Fund for Biodiversity), a French organization that runs the program. The researchers, however, believe that such an idea should be scaled up and turned into a formal compulsory mechanism. A ruling body would have to organize and run such a mechanism. The researchers initially proposed that an organization such as the Convention on Biological Diversity manage it, but global agreements have often been criticized for being ineffective because they are often non-compulsory. The authors also considered conservation NGOs, which may be less influenced by external financial powers. In the end, however, they removed all of these suggestions from their paper, preferring to let others tackle this key aspect of implementing their idea. The researchers admit that not all digital representations of charismatic species should be subject to a usage fee. "I think such rights should concern any entity using the images for profit, including companies, sports teams that sell their products by the millions and toys and the like," Courchamp explained. He continued, "Obviously, art should not be concerned, and one should keep as much a flexible and non-constraining framework over it — at least until flexibility is proven ineffective — because I think companies have much to gain from this approach: They would benefit from contributing to protecting the species that represents them, and their consumers would also like it and likely prefer them over their competitors." The fee for rights, according to the researchers, should not just apply to the top 10 most charismatic species, but to all endangered species, possibly including plants. "As long as a species is so charismatic that it is seen everywhere in culture and marketing, the same bias should apply and the same recommendation" Courchamp said. The California redwood, for example, is an iconic symbol used by many businesses, but this tree is actually endangered. The money earned from sale of usage rights could be used to fund informational campaigns that would, in turn, help to raise conservation dollars. Courchamp said that such campaigns have proven to be effective, "although money in conservation has never been to the level of fields such as biomedicine, engineering, or space. This explains why we can't effectively save most species living on our planet, but know increasingly well distant galaxies and exoplanets. We simply lack researchers, grants, and global support." The researchers feel that at least their proposal would represent a step in the right direction. "I think our recommendation would be amazingly more efficiently used and effective if consumers were to pressure their favorite brands — those using animal images — to act in this way," Courchamp said. He added, "As usual, the power is in the hands of the consumer and voter. I often say that people have two very powerful weapons: their credit card and their voting ballot. If people want to change things, they really can."